Kerisik is used in Malaysian and Singaporean cooking. It is a MUST have for rendang and kerabu salads. It adds on a really fragrant and smoky taste to the curry, making it distinctive from all the other curries. Since I have many packets of store bought kerisik on hand, I thought it is high time I make some on my own. 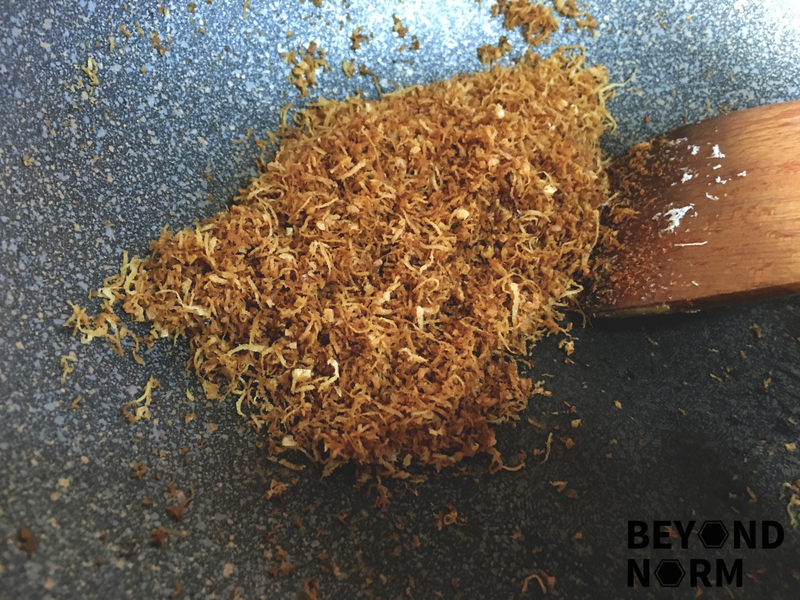 It is a fairly simple and easy to make as long as you have fresh shredded coconut or desiccated coconut at home. Yes, only one ingredient is required!! 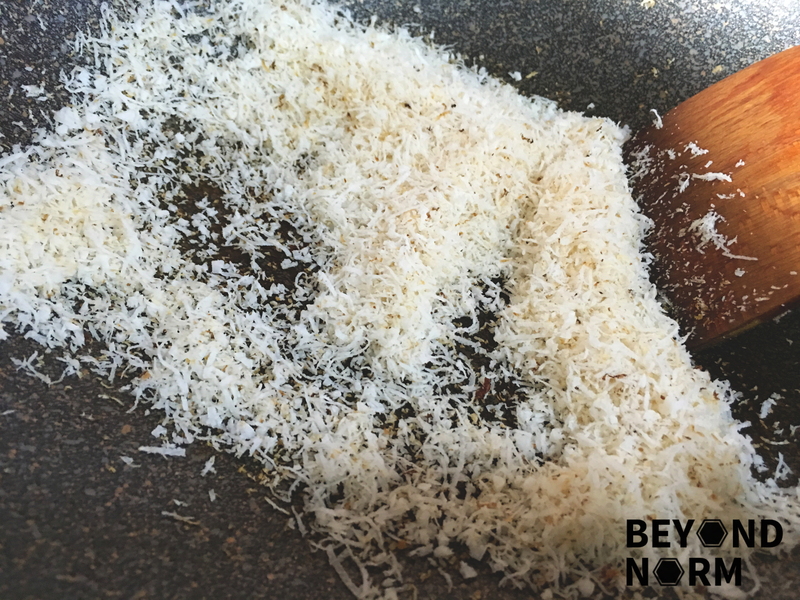 Toast the shredded coconut in a dry (no oil required), non-stick pan over medium heat. Stir frequently until the coconut is golden brown. 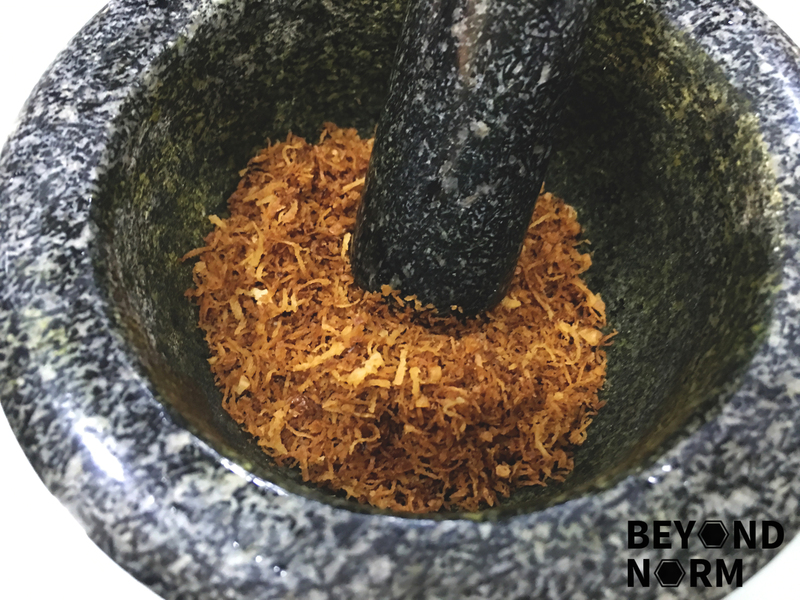 Transfer the toasted coconut into a pestle or mortar and pound to release the fragrance and oils. You can also blend it in a food processor. It is ready to use for your rendang. Any extra may be kept in the fridge for up to a week or freezer for up to a month.